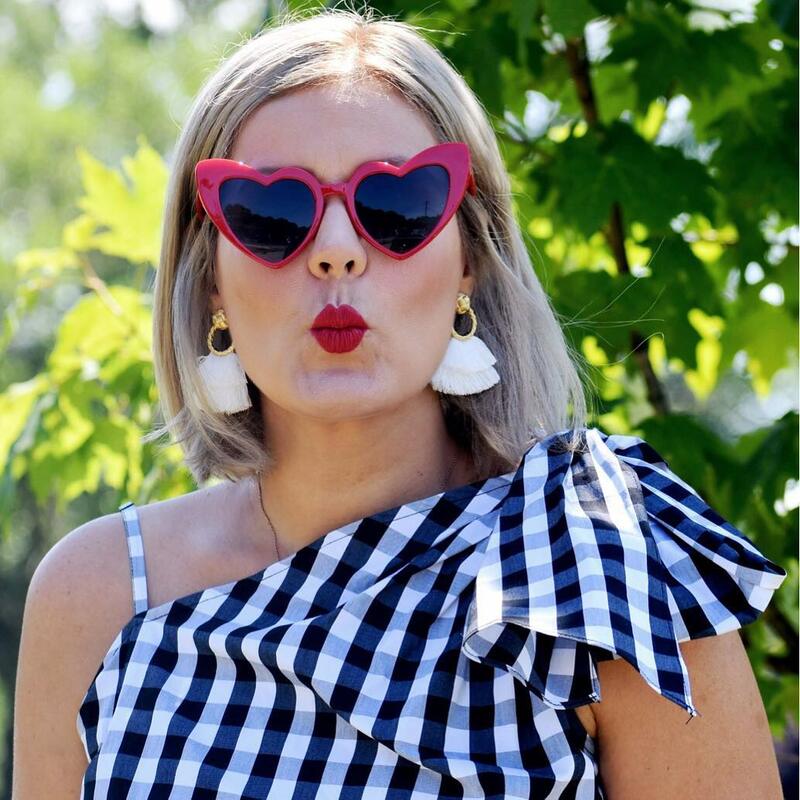 Fashion Maven... Mommy: National Lipstick Day + The BalmJour Lippie Review and Giveaway! National Lipstick Day + The BalmJour Lippie Review and Giveaway! Happy National Lipstick Day beauties! I'm so excited that you're here today to celebrate with me! My gorgeous friends at The Balm Cosmetics sent over the most uhhhhmazing package filled with their brand new The BalmJour Creamy Lip Stains and I've been quite busy testing the wear and formula for some time. All i can say is WOW! These beauties are basically a four-in-one situation! When i think 'stain', i basically just think of a light flush of color on my lips. These lippies are WAY more than that! They are essentially a gloss with the pigment of a lipstick, have a soft creamy texture with the lasting power of a stain! Heck yeah... gimme all the BalmJour Sil Vous Plait! There are eight shades and i honestly love them all. It's funny because whenever i get a full range lipstick collection, i immediately pick out the ones that best suit me to test out. In this case, i simply couldn't decide. The shares are beautiful and SO wearable. 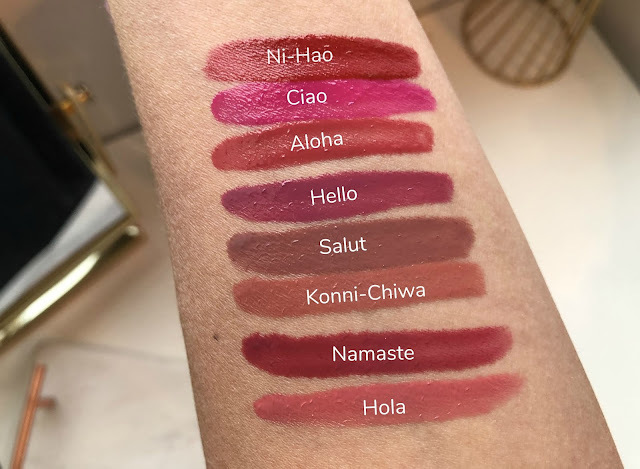 Aren't the swatches absolutely STUNNING? It's gonna be hard to pick just one people... trust! You can purchase them here! OK now to the fun part! My friends at the Balm Cosmetics are truly sweet and included an entire set to giveaway to one of my followers! Thank you theBalm for sharing the BalmJour love! So this giveaway will be simple and easy to enter! Head to this instagram post and follow the giveaway rules! Good luck beauties! I can't wait for one of you lucky babes to try these gorgeous lippies!